Consecrating the South Florida Jewish cemetery. One of the many challenges facing Jews today does not concern life itself, but what happens after life. Whereas once burial was the norm, not just for Jews, but for everyone, today cremation is becoming an increasingly popular option. In the 1950s, the cremation rate in the U.S. was 4%; today it approaches 60% and continues to rise. The National Association for Chevra Kadisha (NASCK), which promotes and facilitates traditional Jewish burial, has taken a leading role in combating this trend. In addition to creating a website dedicated to choosing kevurah over cremation, educational materials in a variety of media, and conducting educational programs across the country, NASCK has just completed the first stage of an ambitious initiative to promote kevurah k’halachah. On Sunday, January 6, NASCK consecrated the first U.S. cemetery outside the New York area that is dedicated to providing a dignified, halachically correct burial for every Jew, regardless of their level of observance or financial means. The South Florida Jewish Cemetery, just north of Boca Raton, Florida, is an elegantly landscaped nonprofit cemetery whose mission is to provide a beautiful and respectful burial, at the highest standards of halachah, for every Jew, including every meis mitzvah. South Florida was a natural choice for the location of this cemetery. Not only does South Florida have the highest population of elderly Jews in the country, the state also ranks second in the nation in number of cremations, outranked only by the state of California. The reasons people choose to have themselves or their loved ones cremated are varied and often complex: they include concerns about the environment (although traditional Jewish burial is actually “greener” than cremation) as well as concerns about cost. What does not enter into the equation for these people, Rachmana litzlan, is concern for their neshamah. As Jews who live by Torah, we know from the passuk in Koheles that “The dust returns to the earth, as it was; and the soul returns to Hashem, Who gave it.” (Koheles 12:7). Kevurah b’karkah, burial in the ground, is a fundamental part of the process through which the neshamah journeys to Olam Haba. Most American Jews are not aware of the fundamental Jewish belief in an Afterlife. Many are not even aware that they have an eternal soul, much less what its value and mission is, and therefore do not appreciate the harm they do when making a decision to cremate. NASCK works tirelessly to educate our brethren on this vital issue. In addition to its outreach programs, NASCK works with individual families until the last possible moment to ensure that there are no possible barriers to proper Jewish burial. 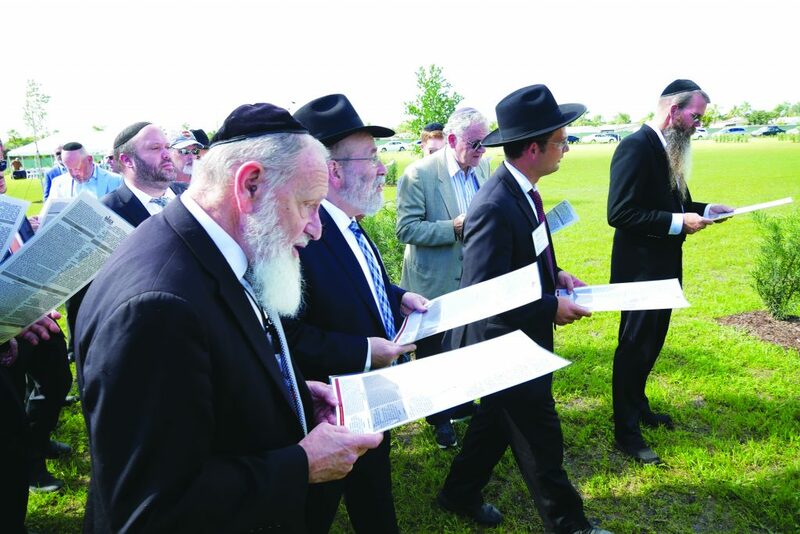 With the opening of the South Florida Jewish Cemetery, NASCK is taking a great step forward in its holy mission. NASCK has partnered with foundations, funeral directors, chevros kaddisha, and individual donors from around the country to make sure that no Jew is robbed of the benefits of kever Yisrael due to lack of funds. NASCK is determined to make sure that this ultimate chessed, this priceless, eternal chessed shel emes, is available to all. Please join us in this historic moment by visiting nasck.org, and viewing photos from the consecration ceremony, as well as photos of the cemetery and renderings of buildings still in the planning stages.